Dell’s XPS lineup comes very close to the MacBook Pro in terms of build quality, trackpad, and other aspects. It is one of those premium notebook lineups that takes a huge leap in performance and features with every iteration. 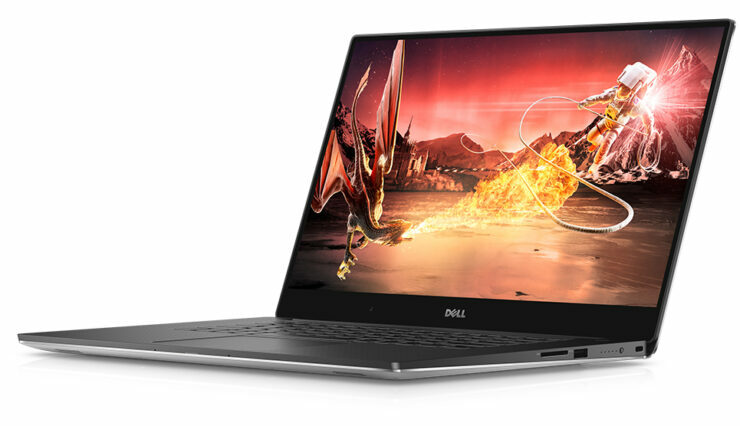 Now, it appears that the next 15-inch XPS model is going to be a delight for content creators, creative professionals and those bent on media consumption. For a 15-inch notebook to tout a 5K display, it would mean a resolution of 5120 x 2880, making it the highest resolution-touting notebook. Though the 2017 MacBook Pro provides support for 5K monitors thanks to its Thunderbolt 3 throughput, its own display does not have as many pixels as Dell’s upcoming machine. According to Reddit, one user managed to see some Dell notebook listings and over there, that person detailed that the notebook will feature a 5K display. FHD, QuadHD+, and 5k screens. That’s right 5k! Ports didn’t change other than one more USB-C port and the form factor didn’t appear any different. Unless the photos weren’t published. From what I saw it’s not white like the 2018 XPS 13. Unfortunately, if you take a look at the base model of the 15-inch version of Dell’s XPS lineup, it will set you back by $1,999. The new model will most likely come armed with Intel’s 8th-generation processor, and if the chip manufacturer can introduce a more powerful SKU meant for notebooks, this particular laptop will probably get that upgrade. Battery life is going to be a concern, so Dell might incorporate a 100Wh cell, which is the legal limit you can carry on flights. Are you excited to see the 5K resolution on a notebook in action? Tell us down in the comments.